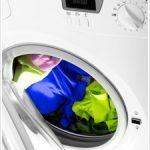 With winter now upon us, getting laundry clean and dry may seem like a difficult task; especially with the weather winter brings preventing you from being able to hang the washing out. 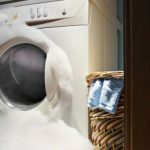 As a result, it’s likely that along with regular use of your washing machine, you’ll be heavily relying on your tumble dryer to assist with your laundry needs. Whilst your washing machine and tumble dryer will become two appliances which you’ll rely heavily on during the winter months, there are a number of laundry essentials which you should consider investing in, to make your winter laundry a breeze. From ink and make-up stains, through to grass, mud and food stains, our clothing is put through a lot. Thankfully, tackling such stains doesn’t need to be a difficult task, or involve various stain removal products. Instead spraying the K2R Stain Remover Spray straight onto the affected area to create a visible powder layer which absorbs the stain, will remove any unsightly marks left on your clothing. The stain remover can also be used on upholstery, carpets and non-washable wallpaper, helping you to remove stains not just from clothes, but from around the home. When it comes to cleaning clothes, it’s important to keep colour clothing out of the same wash as whites. Whilst many of us do this, from time to time the odd coloured item can sneak into a white wash.
Thankfully, you can help prevent colours from running by adding a Wpro Colour Power Sheet to the wash. The sheets will capture loose dyes during the wash cycle, preventing colours from running and being absorbed by other fabrics within the wash – helping to keep your whites whiter for longer! Doing your laundry during the winter months is likely to see your energy bills rise slightly, as not only is the washing machine used to clean the clothes, but the tumble dryer will see a rise in action. Thankfully, it is possible to save energy, despite having to use both a washing machine and tumble dryer, by using energy saving tumble dryer balls when drying your clothes. Wellco’s energy saving tumble dryer balls are not only the natural way to soften fabrics, eliminating the need for either fabric softener or dryer sheets; but they’ve also been designed to lift and separate laundry enabling hot air to flow more efficiently. By doing so, the tumble dryer balls aid the drying process and help reduce the drying time by as much as 25%. If space is at a premium within your utility room, but you don’t want to lose out on the benefits of having a separate tumble dryer to your washing machine, consider stacking one on top of the other, by utilising a washing machine stacking kit. Stacking kits, which are quick and easy to install, allow for easy and safe stacking of a tumble dryer on top of a washing machine. In addition to making the stacking of a tumble dryer onto a washing machine easier, some stacking kits come complete with shelves, enabling you to load and unload your washing machine into your tumble dryer with ease. Constant use of your washing machine throughout the year will increase the likelihood of it becoming hindered by limescale (if you’re in a hard water area) and / or detergent, which in turn can cause unpleasant odours. 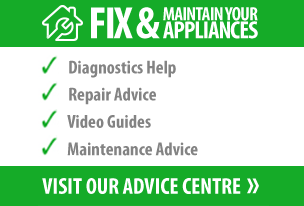 Such issues, however, do not need to hinder your appliance, and can be rectified with ease – by carrying out a maintenance wash every month, in which the BuySpares Limescale and Detergent Remover should be applied. The limescale and detergent remover helps to kill bacteria from your washing machine, reducing stale odours. The remover also cleans any traces of limescale or detergent build up from internal parts, including the drum, walls, pipes, pumps, elements and coils. By regularly using such a remover within a maintenance wash on your appliance, you will help to significantly increase the life of the appliance, at the same time as reducing energy consumption. Utilising these laundry essentials will help not only keep your washing machine and tumble dryer performing at their optimum performance for years to come. But they’ll also save you money and keep your whites, whiter for longer.